The Pop Culture Lens Podcast Goes Live! Christopher Olson (of the blog Seems Obvious to Me) and I present a new podcast, The Pop Culture Lens, where we discuss the media of the past through the lens of today to understand how relevant it is to our modern lives. You can follow the podcast on Twitter, Tumblr, or Facebook, or get the latest episode directly from Podbean. Please send us any feedback and even ideas for future episodes — and if you would like to be on an episode to talk about some media from the past, then let us know! In the first episode, we discuss the 1969 movie, Easy Rider, and the continuing political and cultural relevance of the movie as well as the undeniable impact the movie had on the Hollywood film industry. What do you think? 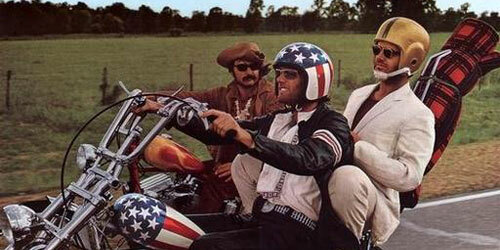 Do you agree that Easy Rider is still relevant, or is it dated?